The Community Reviews team is a small (for now!) team of forum members that are on stand by to write up thorough and honest reviews of products in our forums. As an active player in the tech space, we often get manufacturers contacting us, wanting to get their products into the hands of REAL PEOPLE, people like you! We connect this gap with the Community Review program, so if you have what it takes to write up polished reviews (or heck, even videos! ), this team may be a good fit! 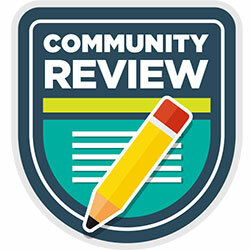 Who is on the Community Reviews Team? If you'd like to apply to become a member of the Community Reviews Team, please see our volunteer application thread now for all the details! What is the Volunteer Hub? READ THIS FIRST!